More than ever before, our times are bearing witness to phenomenal changes in technological innovations and human lives are increasingly organized around smartphones and other technology-based instruments. Thanks to the convergence of communication technologies and the consequent emergence of social media platforms in cyber-space, virtual interactions with people anywhere is easily feasible in our globalized world. Certainly, advanced technologies are vital enablers and a force-multiplier for doing good, allowing individuals and nations to come together on common platforms to discuss specific concerns and to share best practices for addressing challenges. At the same time, we need to be critically-aware of the negative side effects- the many dangers and harmful impacts lurking behind the unprecedented ‘opening-up’ made possible by the new mediums of the digital space, especially for the young people. 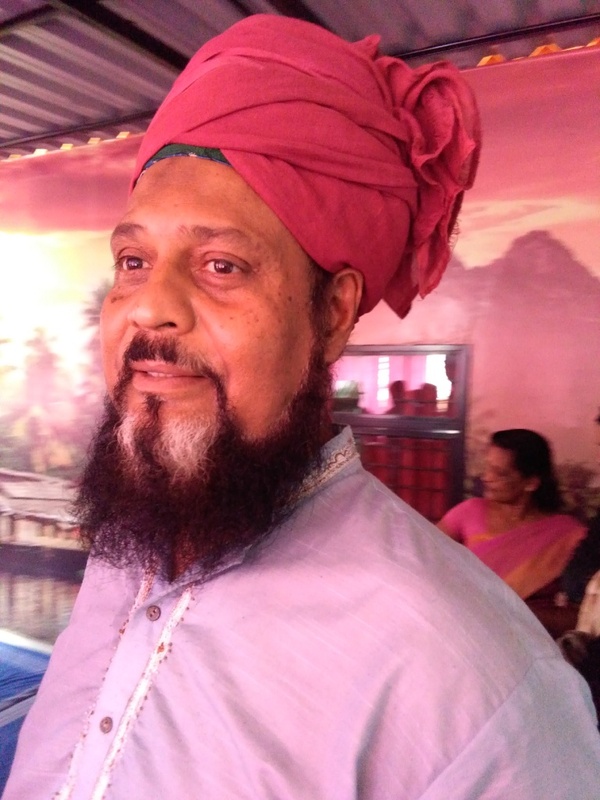 In his Friday Sermon of 22 February 2019~17 Jamadi’ul Aakhir 1440 AH, Imam- Jamaat Ul Sahih Al Islam Hadhrat Muhyi-ud-Din Al Khalifatullah Munir Ahmad Azim Saheb (atba) of Mauritius continues the theme of the perils affecting modern-day youth in our societies. Hadhrat Khalifatullah (atba) warns against the increasingly unabashed pursuit of synthetic happiness- be it in drugs and other deadly cocktails by the youth in our times, and points to the critical need for comprehensive intervention at various levels by the social stakeholders to ensure that our deeply-vulnerable young people are weaned-away from fatal attractions and dangerous choices in their lives, with profound consequences for families and societies as well. Likewise, Hadhrat Khalifatullah (atba) alludes to the many dangers of the new "addictions" of the youth, represented by their 'trendy gadgets', and the virtual access to social media platforms. The extraordinary reach of the new mediums to capture our emotions, thoughts as well as other inanities through photos, videos and other forms of self- expressions, coupled with the temptations of the young to share it all with both friends and complete strangers can have profoundly negative implications for our emotional happiness, psychological well-being and mental health, especially for the people who are virtually "addicted" to these devices. As the communication devices are 'neutral' enablers, the danger of criminality and immorality are ever-present, and as such, the new challenges of ubiquitous access requires careful handling, and the prudent deployment of vital ethical teachings on decent engagements and appropriate behaviour. The task ahead for the social actors is to ensure that the youth are constantly-educated and enabled to deal with the challenges and pitfalls of the new platforms so that they may only exploit their true potential in the most appropriate and creative ways for their own progress and the social common good, points out Hadhrat Saheb (atba). By the grace of Allah, I continue today the second part of my sermon on “The Youth of the Ummah in Peril”. Last Friday I told you how young people also have a mission to accomplish. The youth are our future, and they must be protected from the harmful effects of globalisation. 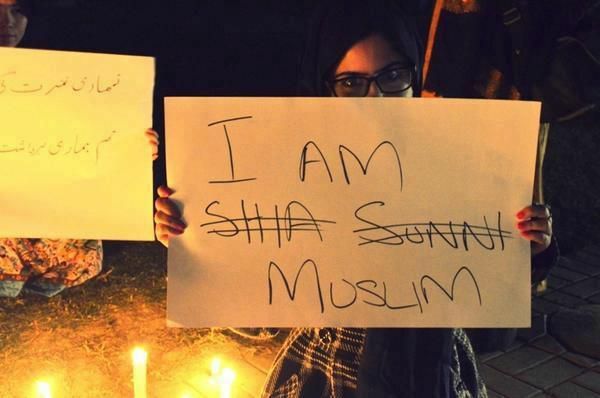 The Islamic faith of the youth of our Ummah must be protected and safeguarded. Dear brothers, sisters and children, for today’s Friday Sermon (Khutba Jumu’ah), it is very important that I talk to you about faith (Iman) and Islam and the difference between a weak believer and a strong believer. Allah says in the Holy Quran: “Say, ‘You have not (yet) believed; but say (instead), ‘We have submitted,’ (We are Muslims) for faith has not yet entered your hearts. And if you obey Allah and His Messenger, He will not deprive you from your deeds of anything’.” (Al-Hujurat 49: 15). Indeed, Iman (faith) is the confession/ attestation (by the tongue) and acting (according to one’s responsibility) and Islam is confession (by the tongue) without acting. It should be remembered that those who integrate the Jamaat Ul Sahih Al Islam as Muslims and say that they believe in my advent as the Khalifatullah of the age need to make extra efforts to perfect their Islam and put this Islam into practice in their daily lives. Through the practice of Islam in your daily lives, true faith shall enter your hearts, and no doubt whatsoever, can come into those hearts to deviate you from the right path. 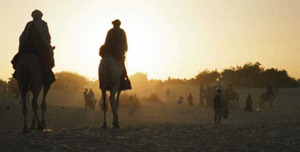 Very often, a Muslim – and I am specifically talking about my followers, the Sahih al Islam members – can feel that he is trying to do all the right things in his life so as to come close to Allah, and despite his various efforts, he is not able to succeed in his efforts and therefore he despairs of the mercy of Allah. He feels abandoned, and thus, he abandons his Salat (prayers) and all acts of worship due to his insecurity and doubts. Now, this is very wrong. This person should bear in mind that acquiring true faith is not an easy matter. He has to go through lots of trials, lots of fires, i.e. difficulties, so that his mettle, his capacities as a true Muslim and believer, and his faith in Allah may be victorious. Remember, Allah always gives more trials and difficulties to those whom He loves the most. Hazrat Muhammad (pbuh) has said: “How wonderful is the affair of the believer, for his affairs are all good, and this applies to no one but the believer. If something good happens to him, he is thankful for it and that is good for him. If something bad happens to him, he bears it with patience and that is good for him.” (Muslim). 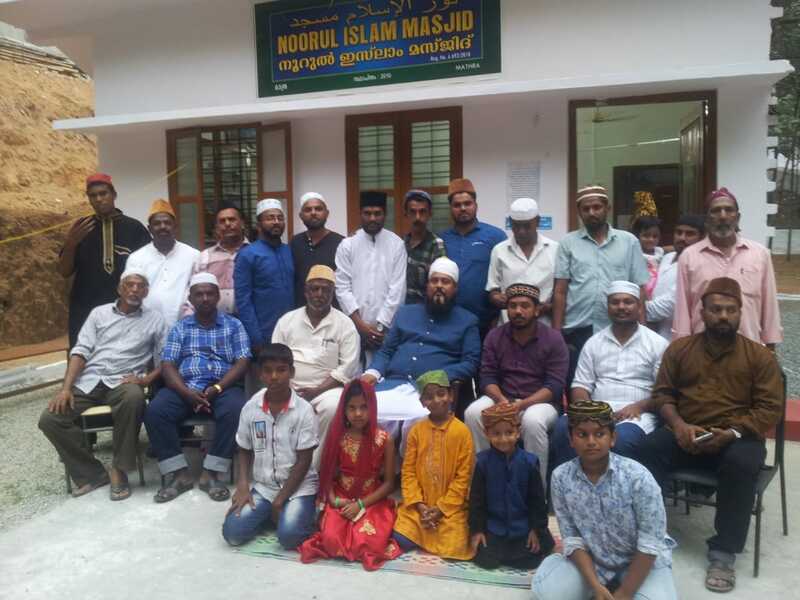 Jamaat Ul Sahih Al Islam- Kerala (India) organized its Eighth Jalsa Salana at the historic Noor'ul Islam Masjid at Mathra on Sunday, 9th December 2018. 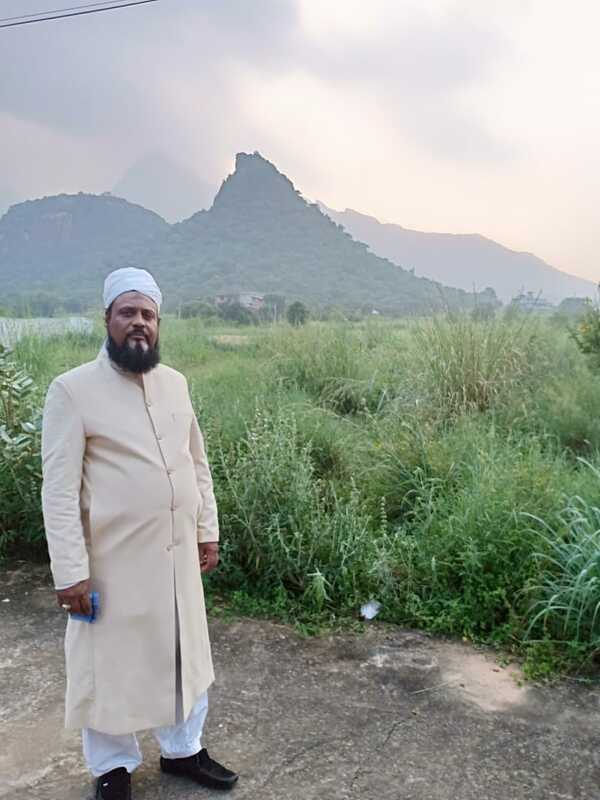 As noted in an earlier post, the Jalsa this year was special for all its participants, including for the large delegation of brothers and sisters from Tamil Nadu, with the august presence of Hadhrat Muhyi-ud-Din Al Khalifatullah Munir Ahmad Azim Saheb (atba) of Mauritius among them. While Hadhrat Khalifatullah (atba) in his opening Speech elaborated on the significance of an annual spiritual congregation of brothers; in the concluding Speech, Hazrat Saheb (atba) called attention to important organizational tasks ahead for the brothers to keep in mind to act upon. Bai'at at the hands of an Elect of God is nothing less than a covenant with Allah and it entails grave responsibilities on those who choose to strive in the sublime path of seeking proximity to the Divine presence. The social dimension of the worship of the Divine is to reach out to people so that they may also come to be aware of the great blessings on offer in the life to come, and also the felicity that God promises to those who strive in His path in their worldly life as well. Progressing forward as a community requires brotherhood, solidarity, sustained engagement and generous support for collective objectives. Each person can and should make contributions, including financial sacrifices so as to leverage our collective capacity to reach out with the Divine Message to as many people as possible through the diverse projects identified by the Divine Elect (atba) of our times. 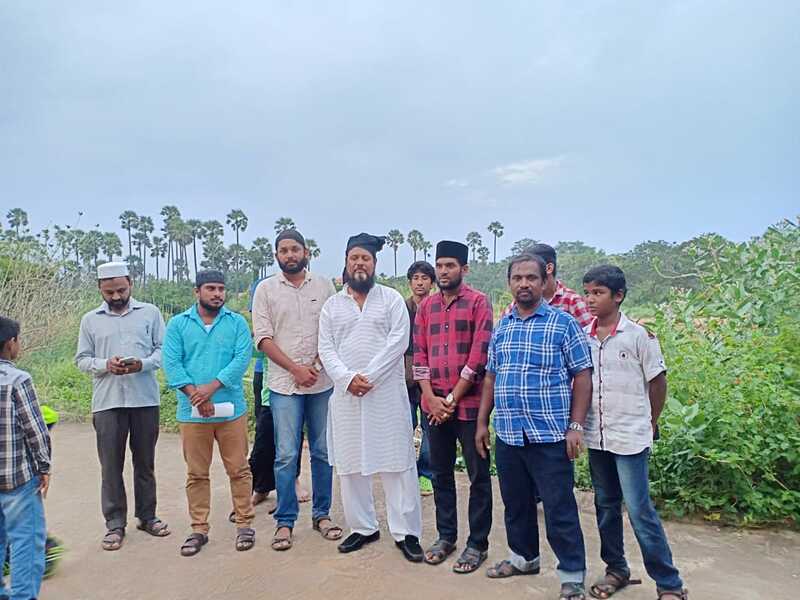 Marking the culmination of the Jalsa Salana Programme, a collective Bai’at Programme was also organized for the benefit of all members present on the occasion; with all brothers gaining an opportunity to take the Bai'at at the hands of Hadhrat Khalifatullah (atba), Alhamdulillah. 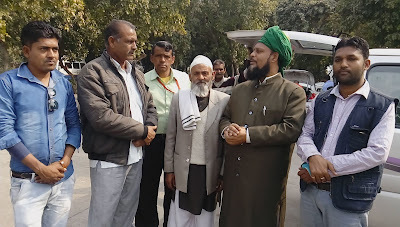 Hence, the Noor'ul Islam Masjid, Mathra once again became the venue of this historic event: Hadhrat Saheb (atba) explained the conditions of Bai’at and procedural stipulations therein and following this, everyone placed their hands on the hand of Hadhrat Khalifatullah (atba) and pledged their help and assistance to the Divine Manifestation of this era in the person of Hadhrat Munir Ahmad Azim Saheb (atba), Summa Alhamdulillah. To all those who have the same lines of thought I would like to say that first of all as Muslims, this humble self as well as all my disciples’ religion is truly ISLAM. 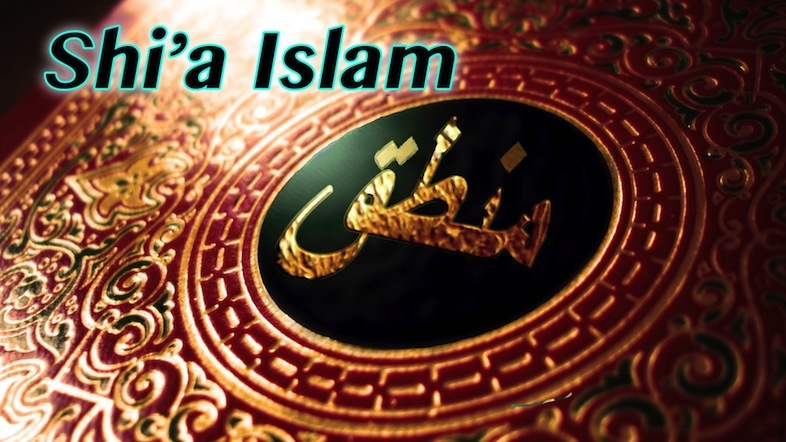 Now, ISLAM as a religion is not an entity which can be used for one to register himself officially, especially in a non-Islamic country so that he can operate and construct buildings and preach the religion of Allah without any fear. As such Allah saw the need to elevate His Khalifatullah with a Jamaat Ul Sahih Al Islam so that we, His chosen servants can work effectively in a modern-day system which does not consider ISLAM as the prime and foremost religion of the people and society in general. During the recently concluded tour of South India, Imam-Jamaat Ul Sahih Al Islam Hadhrat Muhyi-ud-Din Al Khalifatullah Munir Ahmad Azim Saheb (atba) of Mauritius addressed the women believers at the Noor'ul Islam Masjid at Mathra on the occasion of their Ijtema on 05 December 2018 (27 Rabi’ul Awwal 1440 AH). In this spiritual discourse, Hadhrat Khalifatullah (atba) encourages women believers of the Divine Manifestation to recognize their important role in the transmission of the Divine messages of our times both within their family circles and beyond. While being models of piety in individual and collective lives, the believers need to appreciate the roles and responsibilities that go with their terrain and be ready to participate- based on their respective capabilities and specific skills- with sincerity and steadfastness in the larger causes of the Jamaat at all levels, exhorts Hadhrat Saheb (atba). 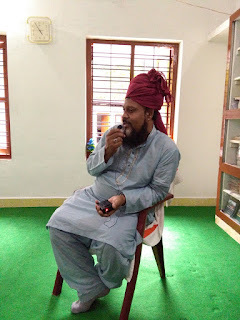 By the grace of Allah, Allah has enabled this humble self to come to Kerala again this year, after nearly two years now since January of the year 2017. And Alhamdulillah, I am here present today for your special Ijtema to address you few words of encouragement in the path of Allah. You should know that working for the cause of Allah reaps the sweetest of fruits, be it in this world and the hereafter. As women of the Divine Manifestation of this age, it is your duty to see to it that other women also get the divine message. It is my prayer that Allah gives you the power of tongue, whilst being in Pardah and in a cultured manner to represent Islam in the best way vis-à-vis other ladies, be it of Islam and the various religions. Today, you are the fortunate ones whom Allah has guided to accept His truth, to recognize His signs and Khalifatullah. Now, you should not neglect your duties to Allah and the Messenger of Allah. You should strive in the various fields of works, like Dawa/ Tabligh and the translations of the documents of the Jamaat, as available in our website. Alhamdulillah, you take good care of your homes – husbands, parents, children and other family members, but how beautiful it would be if all those with the necessary knowledge, contribute in translation works also, especially the Commentary of the Holy Quran inspired to this humble self in your local language, i.e. Malayalam, and Insha-Allah, other local languages of India. As a spiritual father to you all, it is my duty to motivate you to work selflessly for the cause of Allah. 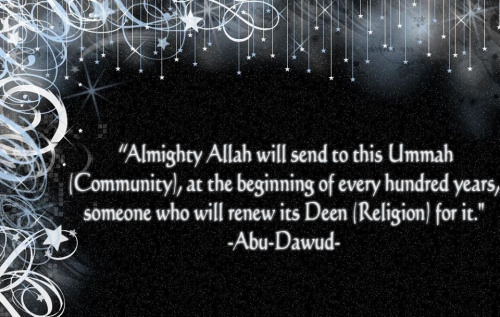 Working for the Deen-e-Islam is indeed a great blessing which few receive or take the step forward to hold firm to. Those who receive the blessings of working for the cause of Allah are indeed fortunate because their sacrifices and dedication shall NEVER be in vain. Allah will illumine them and show them the right path and bring them close to Him. 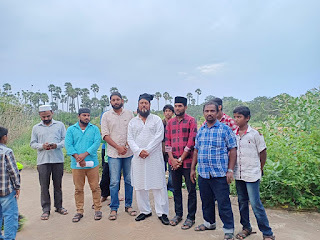 In the Friday Sermon of 23 November 2018 (14 Rabi’ul Awwal 1440 AH) delivered at Tenkasi during his recently concluded tour of Tamil Nadu and Kerala (South India); Imam- Jamaat Ul Sahih Al Islam Hadhrat Muhyi-ud-Din Al Khalifatullah Munir Ahmad Azim Saheb (atba) of Mauritius provides an illuminating discourse on the concept of Waliullah in the Islamic spiritual tradition. Those individuals with whom Allah converses more directly and frequently than with other believers belong to the class of Friends of Allah (Auliya). In the spiritual terminology, such persons are described under different ranks and stations- Wali, Muhaddith, Mujaddid, etc. - all of whom receive their light from the Divine Light and thereby revive the knowledge, wisdom and blessings of the Prophets and Messengers of the previous era. The Light of Allah emanating from theses spiritual lamps illuminate the path of the Divine seekers in Islam. 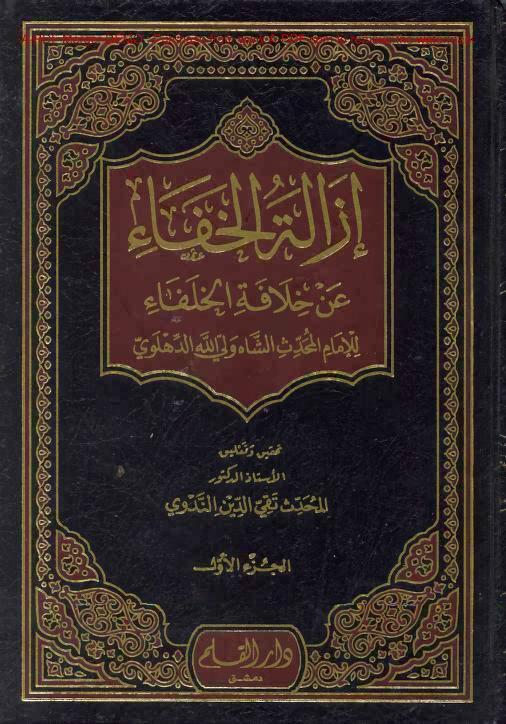 The present discourse by Hadhrat Khalifatullah (atba) is indeed an important reminder to all Ahmadis- people who revere the legacy of Hadhrat Mirza Ghulam Ahmad (as) of Qadian- about the forgotten teachings of the Promised Massih (as) regarding the spiritual phenomenon of Wilayat, and the continued vitality of these teachings in every era till the Day of Judgement. 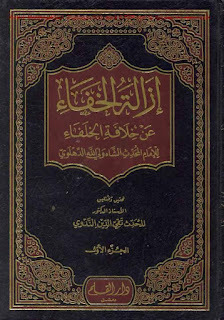 Drawing specifically from the Divine revelations and additional explanations given by the Promised Massih (as) in the previous era, especially in his Revealed Sermon- Khutba Ilhaamiya; and also the Divine revelations that were vouchsafed to his humble self in the last two decades, Hadhrat Khalifatullah (atba) points to the significance of the advent of a 'Waliullah'- a special Friend of God, who speaks with the help of Roohul Qudus to illuminate the reasoning and intelligence of people in the appreciation of subtle and profound matters of Divine knowledge and to guide them in the Spiritual Way in our bewildering times. The Ahmadiyya Muslim community, founded by Hazrat Mirza Ghulam Ahmad (as) of Qadian in the last century in India, is one of the most dynamic missionary movements in the world today. Despite persecutions in Pakistan and some other Muslim-majority states, the community continues to prosper around the world with its peaceful propagation of Islam. 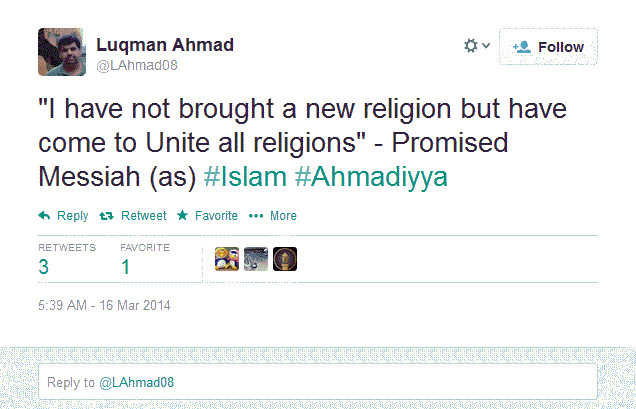 While upholding that Divine revelations descending on God’s chosen servants is a special blessing and an enduring spiritual reality in every era of Islam till the last century, the community leadership now preaches the pious facade of Ahmadiyya Khilafat as the Divinely- endowed institutional order of Islam and rejects the descent of Divine revelations on grounds of expediency and ‘institutional’ discipline. 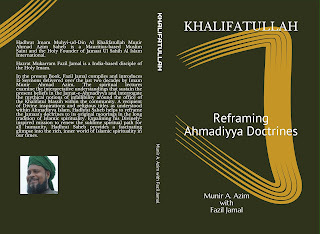 Against the backdrop of most common Ahmadis today being ignorant of the theological engineering and interpretative understandings that gave birth to, and continue to sustain the pious facade of ‘Ahmadiyya Khilafat’; last month, the Jamaat Ul Sahih Al Islam International published a new book, ‘Khalifatullah’: Reframing Ahmadiyya Doctrines. The Book is a compilation of 15 Sermons made by Hadhrat Muhyi-ud-Din Al Khalifatullah Munir Ahmad Azim Saheb of Mauritius over the last 15 years. 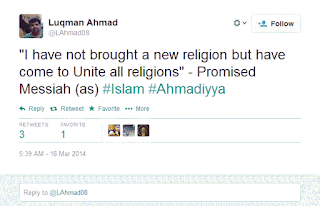 Since the turn of the present century 2000-01 when this devout Ahmadi Muslim announced that he has a Divinely-inspired mission to revive the original teachings of Islam as taught in the last century by the founder of the Ahmadiyya community Hazrat Mirza Ghulam Ahmad (as) of Qadian, the Discourses provide a fascinating glimpse into the rich, inner world of Islamic spirituality and thereby reframes the current Ahmadi doctrines that perpetuate mythical beliefs around the infallibility of the elected community leader- the Khalifatul Massih. 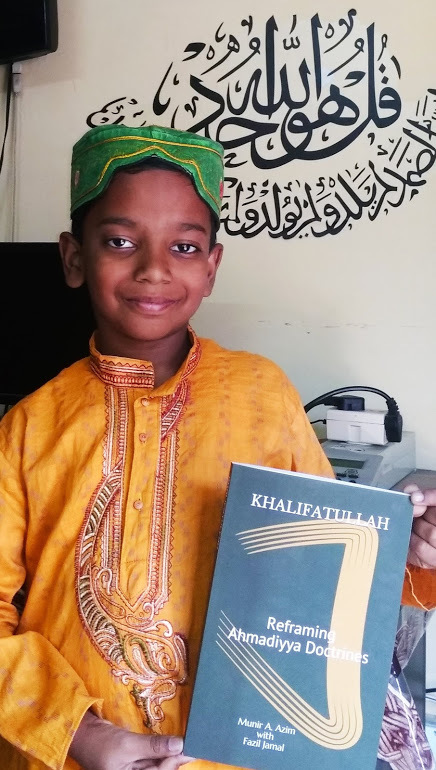 The book argues that the system of Nizam-e-Jamaat-e-Ahmadiyya has incrementally corroded the very idea of Divinely-revealed guidance as irrelevant in this era, posing a “threat” (Fitna) to the institutional order of the community. 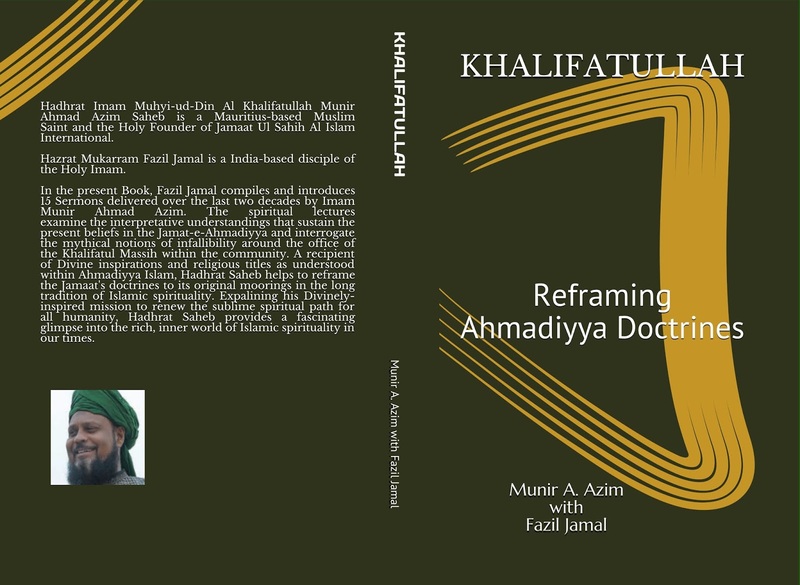 In reframing the Ahmadiyya doctrines such as Qudrat-e-Saniah, ‘Islamic Khilafat’ etc, Hadhrat Saheb (atba) helps to richly contextualize the role of Ahmadiyyat within the wider and larger framework of Islamic spirituality. 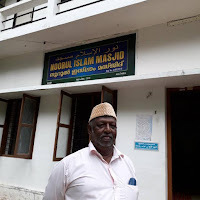 Hadhrat Muhyi-ud-Din Al Khalifatullah Munir Ahmad Azim Saheb (atba), the Founding Head of the Jamaat Ahmadiyya Al Mouslemeen, Mauritius and the Supreme Head of the Jamaat Ul Sahih Al Islam International belongs to, and lives in, the Indian Ocean- island State of Mauritius. 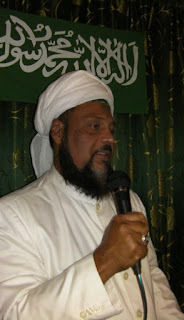 Hadhrat Saheb (atba) is a born-soldier of Islam, having had with him from a relatively very young age of his blessed life, an abiding interest in religious matters and an intuitive understanding of effective preaching and an exceptional drive to spread further and further the true message of Islam for all of humanity. Every soul shall taste death. (Al-Imran 3 : 186). Today is a public Holiday as it is All Saints Day; in other words such a day in the life of a Christian where he commemorates the Saints and also the dead in general. And it is not a coincidence that Allah has guided me to deliver this sermon today (a sermon which I prepared beforehand and which applies exactly for today). The world we live in is only ephemeral. One day or another, death will overtake us. We must then leave behind all our wealth, families, and friends. The only luggage we will bring with us is our actions and the intentions behind these actions. The Messenger of Allah (pbuh) said that there are three things that accompany a deceased to his grave: his family, his riches, and his actions. Of these three things, two come back, his family and his wealth. Only his actions accompany him. (Bukhari, Muslim). On 02 July 2000, I received from Allah this revelation in poetic form (in French) on the subject of death: “Death is your Last Journey/ Travel”. In this extract, Allah mainly mentions the spiritual baggage of the believer, where he shall arm himself with his good deeds, his pious actions and his love for Allah. The pious will be very lucky. His obedience to Allah and His Messenger, Hazrat Muhammad (pbuh), and to the Messenger of His epoch - if his epoch was the time when Allah sent a Messenger and Reformer to revive Islam, like in this present era - will be like a fiery light for him, which shall illuminate his way. His path to the afterlife will be easy compared with the unbeliever or the hypocrite who had during his stay on earth ignored Allah and His commandments. 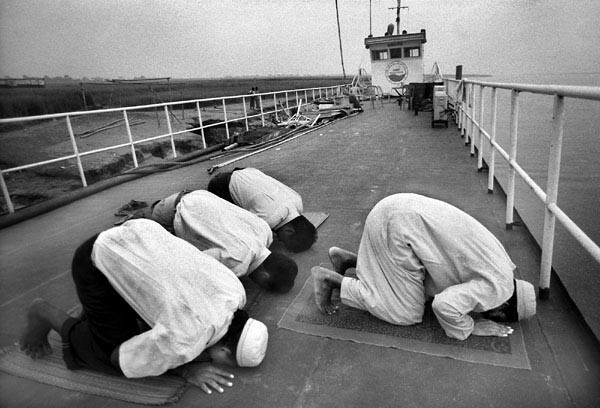 It is regrettable that most Muslims today are simply unaware of the deep verities of the Faith they otherwise claim to profess and even practice. People in their ignorance and stupidity usually remain satisfied with what they are habitually familiar with- inherited family traditions, ritual practices and the tales of dead and gone Divine savants in their communities. So much so that by their sheer negligence of profound teachings - especially those pertaining to the advent of Divinely-imbued souls to guide the Ummah in every era of Islam-, the folks do not recognize what they are missing out in experiential spirituality or the rich inner life that the Islamic Way promises to the Divine-seekers. Like many saints of Islam in the past, in the previous century, the Promised Massih and Mahdi Hadhrat Mirza Ghulam Ahmad (as) of Qadian also offered layers of spiritual and logical explanations to ‘normalize’ the phenomenon of Divine Manifestations among the Muslim believers. 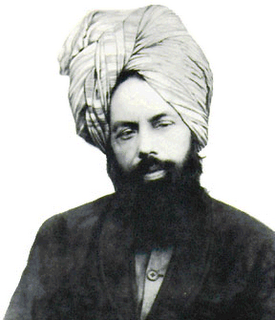 Through his comprehensive and all pervading engagement with the spiritual doctrine in all its settings, the Promised Massih (as) has left behind an extraordinary range of explanations emphasizing the need for recognizing an Elect of God whenever such a person announces his spiritual mission of renewal of the Faith. 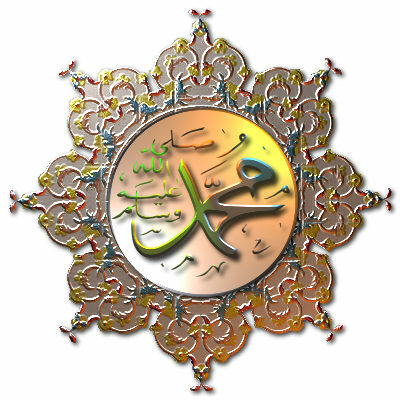 The Promised Massih (as) noted that Allah (swt) maintained the institution of Reformers (Mujaddidin) after the Seal of the Prophets, because along with their own practical example, these personages command a spiritual attraction and influence, and virtue of the highest degree could be observed in their persons- a path of spirituality that any thoughtful person would inherently find appealing. Alhamdulillah, Allah has given me the opportunity to continue the second part of my sermon on Duahs which I started on Friday 07 September 2018. The duah (i.e. 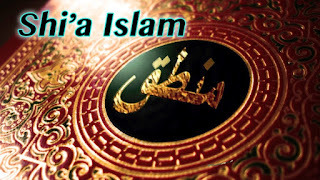 in this context, Invocation to Allah) is a way to obtain from Allah the Exalted One the prerogative (exclusive right, i.e. in a most humble way) that He hears and satisfies our needs in the broadest sense of the word. It is therefore a factor that can affect even our fate and change our destiny. Surely, Allah the Exalted is always “closer to man than the vein of his neck (jugular vein)” as He explains in a Qur’anic verse (Qaf 50: 17).